February can bring on a big case of the “Winter Blues,” but fret not because Buddy Bear has enough warmth to keep the chill at bay. Buddy Bear has had his share of sad days; he has a sensitive spirit and the stress of life at an animal shelter can be hard, but this 1 year old pup refuses to give up. 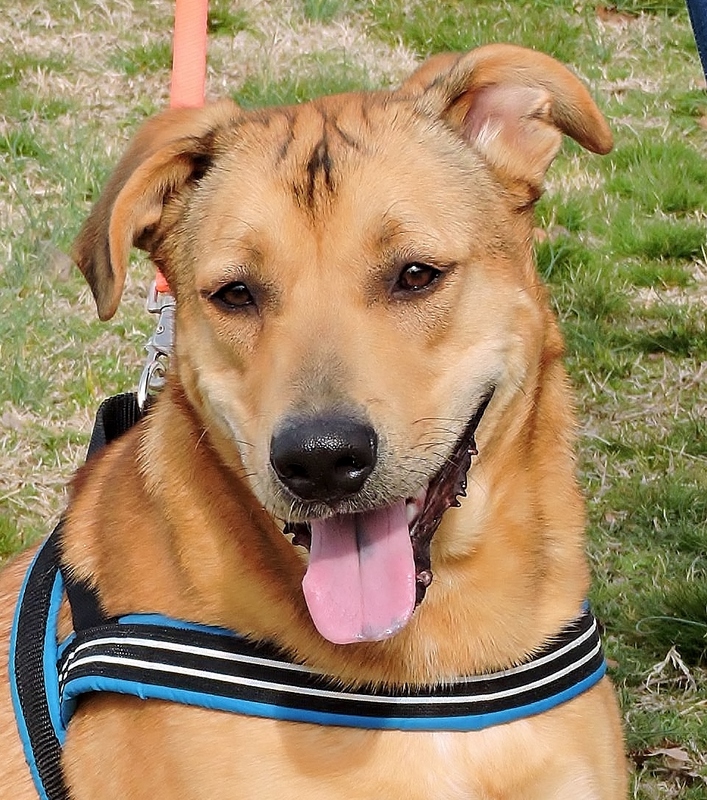 He’s growing happier and healthier every day, and this handsome retriever mix is ready to pay it forward to the family of his dreams. Buddy Bear is a big boy, who will need some extra living space to thrive. His short tan and sable coat seems to highlight the sunny disposition he has inside. 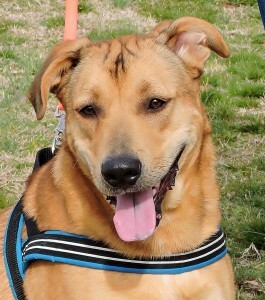 Buddy Bear’s in need of a home with older children and experience raising canine family members so that he can flourish and continue to grow. He’s ready to get a fresh start this spring, and he’ll do his best to thank you with love that lasts a lifetime! Daphne is dewy fresh, and downy soft. This feminine feline has charm for days, and she’s easy on the eyes as well. 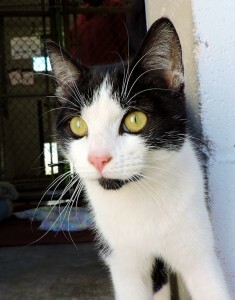 Daphne is cloaked in a shiny, short, black and white coat which she’ll gladly let you cuddle when you come to visit her. This 1 year old is a joy to be around and spreads that same warm and fuzzy feeling to other pets as well. Daphne is a great fit for families with children since she’s playful enough to romp around the house, but wise enough not to get too rough. She’s always up for a chat, and loves to meow at visitors while she shows off how clean she keeps her kennel and litter box. Even though Daphne is a complete package, she seems to know that an important piece is missing. Why have all this love to give, and no one to share it with? A forever home with a special family is all that’s left for Daphne to live the perfect life she was born to enjoy.